Leonardo has announced that the AW119Kx helicopter has been selected by the New York City Department of Environmental Protection Police for operations in support of water supply protection. Delivery of the aircraft is expected in 2018. As the largest single source water supply in the U.S., the New York City water supply system is protected by ground and air to prevent terrorism, pollution and crime. The AW119Kx selected by the Department of Environmental Protection is fully customized and features searchlight, FLIR, external loudspeakers, rappelling and cargo hooks, expanded fuel system, a foldable stretcher, and high visibility crew doors on both sides of the aircraft. The aircraft also includes provisions for a Bambi Bucket to be used for firefighting operations. This order expands the presence of the AW119Kx in law enforcement and public utility missions around the world, allowing operators to take advantage of a reconfigurable cabin that meets the most demanding requirements. The AW119Kx is a best in class single engine helicopter featuring a state-of-the-art avionics system for enhanced situational awareness, mission effectiveness and safety. The AW119Kx is provided with a large cabin able to host up to six passengers and redundancy of all critical systems, typically available of twin engine aircraft, ensuring outstanding safety. 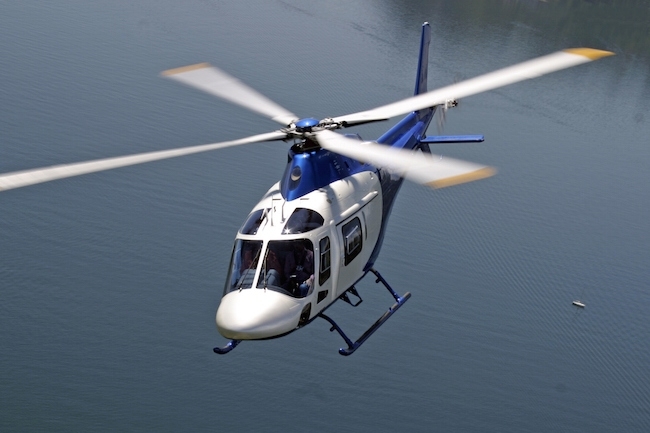 Over 280 AW119 helicopters have been ordered to date in 35 countries by nearly 120 customers. The new AW119Kx is well suited to perform many roles including EMS, utility, fire-fighting, law enforcement VIP/corporate transport, training and government duties.